Blockchain becomes increasingly interesting and receptive, not only among tech-savvies, but the general public. Personally, I believe that blockchain is here to stay, and it’s much more than just cryptocurrencies, that some people merely associate blockchain with. I’m pretty sure that we will see blockchain in all kinds of industries, ranging from law, real estate, banking, product compliance, and more. Cambodia is a perfect example where blockchain could help the local population immensely, even if it might take some time. In the late 70’s, Cambodia experienced big problems when Khmer Rouge fighters destroyed many land titles during the genocide. This left a big part of the population empty handed, with no proof of property ownership. Up till now, Cambodia still experiences issues with land grabbing. OpenLedger ApS is a Copenhagen based company and one of the pioneers to introduce blockchain services in real estate. 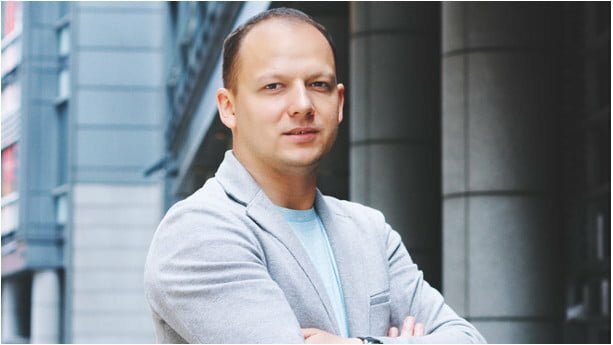 Therefore, I decided to invite Mihail Romanovsky, the company’s CMO (Chief Marketing Officer), to let him explain more about how blockchain works, and what impact it will have in the real estate industry. 1: First, thanks for having you Mihail. Before we get into the details, can you explain briefly what blockchain is and how it works technically? Sure! So a blockchain works like this; It’s like a database that all its users agree on. When a new version of the database exists, that all the users agree is accurate, and that’s recorded immutably in an encrypted format – that’s called a block. Once it’s been made it can’t be changed by anyone. After the database changes, for whatever reason, a new block is made. It’s validated and added to the last block in the chain, that’s how you get to ‘blockchain.’ Adding information to the database is done automatically, rather than manually. That’s basically how it works. Based on the blockchain, you can run a cryptocurrency, such as BitCoin, BitShares or Ether. In that case, the blockchain underpins the value of the currency. But you can do a lot more. For instance, you can perform computing actions right on the blockchain. This is what’s meant by a ‘smart contract,’ or a self-executing contract. It lets us create a contract where, for instance, if I were to do some work for you, when the work was submitted, then the contract itself (a piece of code) would release payment. So you wouldn’t have to trust me to do the work. I don’t have to rely on you to pay on time: we both repose that trust in the code itself, knowing it’s impartial and can’t be tampered with. Blockchain also allows for a process called ‘tokenization’. This allows us to take a single large valuable asset and represent that value in terms of tokens, whose value is based on the asset itself. Let’s say you owned a large building; it’s a value store, but you can’t spend, transact or fragment its value. When it’s tokenized, you can spend those tokens, transacting with them on the blockchain. This has great implications for real estate since obviously, it’s a space where there’s a lot of high-value items. 2: How can blockchain be applied in real estate and what are the benefits? A blockchain creates a record that’s definitely correct. It can’t be altered, hacked, or stolen. That could be a record of land ownership, for instance, meaning there’s absolutely no question of who bought which property, at what time, and for how much. So that’s one basic use case, the core competency of what a blockchain does. When you look into the day-to-day of real estate as a business, and as an area of regulatory activity, there are many other potential applications. I mentioned smart contracts before. At the most basic level, smart contracts could be set up to deal with the standardized results that are entrained from a real estate transaction. For example: when you buy a property in Vietnam, you have to pay 0.5% stamp duty, so a smart contract could simply begin and manage the process of collecting that payment immediately, when the property changes hands in the land registry. For real estate agents, then we can see the same technology, delivering slightly different benefits. Real estate agents increasingly use technology in the field, and there’s a premium on agents’ productive time. Blockchain can automate basic data entry and admin. In a field where 89% of working time is consumed by non-core or administrative tasks, it’s a major advantage. But we can also see the potential for the use of smart contracts to create standardized, self-executing workflows to guide transaction participants, or to facilitate transactions in a trustless manner. 3: How has the real estate market responded to the introduction of blockchain? There are a large number of companies using blockchain in the real estate space now. Some have done so very successfully, for instance Fluidity and Propellr. 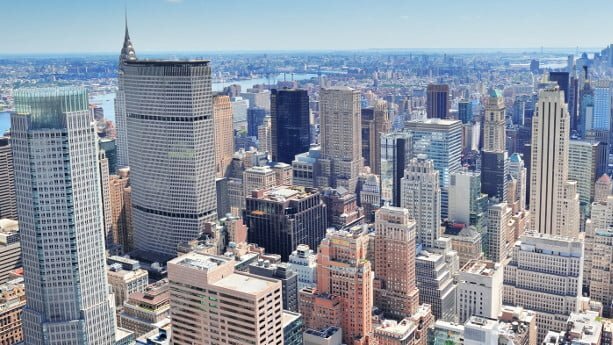 Being a tokenization and a digital asset company respectively, the two partnered to pioneer the tokenized sale of a $30M Manhattan apartment building. They successfully fractionalized and sold the value of a single, high-value asset. In Spain, a tokenization-focused real estate company called REAL is pioneering tokenized property purchase and trading with no minimum investment and payouts on any investment. This allows people to enter the real estate, market who would otherwise have been excluded from it. This is representative of the main uses blockchain has been put to in the real estate space, where tokenization is the principal focus. However, the administrative and process design functions we discussed earlier will likely come to the fore when pressure from government and regulatory bodies that adopt them meets ease of adoption. Currently, that’s too difficult because the widely-available general computing blockchains are all too slow and unwieldy. That’s already changing and when projects like EOS come to fruition, we can expect to see much wider adoption of blockchain at the shop-floor level in real estate. 4: How do you think the real estate industry will transform in the coming 10 years with the help of blockchain? Blockchain will, if anything, be more transformative than the internet has been. The advent of powerful mobile devices and broadband has changed the way people look at a property they’re considering buying. It has revolutionized the way real estate agents work and market their services. Still, what it hasn’t done is to fundamentally change how individuals can interact with real estate via the market. Blockchain has the capacity to do that via tokenization. There’s a historical parallel: when it became possible to buy shares in ships, merchants would buy a tenth of ten ships rather than one ship. Now if a ship sank, they lost only a tenth of their investment, not all of it; if all the ten ships succeeded, the reward was identical. It allowed people to share risk and keep reward. Blockchain tokenization allows the same thing and crucially opens that door to any investments for people with little personal wealth, including sovereign wealth funds, hedge funds, and high-net-worth individuals (HNWIs). As tokenization becomes more widespread and people get used to it, we will see a massive increase in investment in real estate and the development of secondary and tertiary markets and services based on fractional ownership of multiple assets. This will increase the overall value of the real estate industry and rewarding early adopters. Ten years is a long time in blockchain technology. Go back ten years and we didn’t even have BitCoin. So imagine it’s 2010 and you’re asking, where will the internet be in ten years? We know some things blockchain will be capable of in ten years: it will be much faster, of a speed to rival the standard internet. It will offer user-friendly interfaces that draw on what designers have learned from web and mobile apps. It will also interpenetrate multiple areas of life, including banking, real estate. Quite likely, work and transportation, will be strongly affected by combinations of blockchain, AI and the Internet of Things, that are all facilitated by each other. 5: Many Asians are interested in blockchain and cryptocurrencies. China, Korea and Japan are some of the biggest markets in the world, while you frequently see blockchain events in places like Vietnam. Still, my feeling is that developing countries might be less receptive, and slower, to introduce blockchain in real estate. 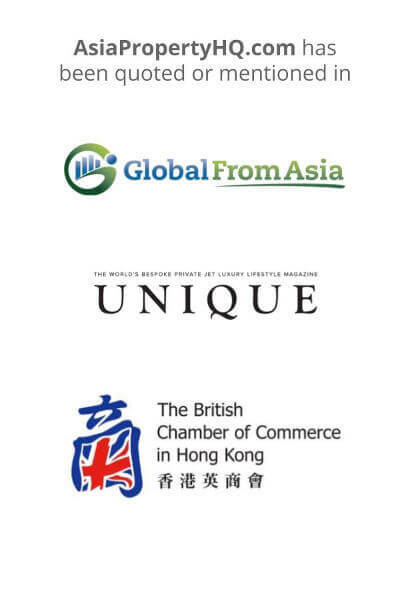 What opportunities do you see to expand to Asian markets, now or in the coming years? Good points. We’ve seen a greater receptivity to new technology in Asian countries, as you described. And there can be a leapfrog effect on technological adoption. Look at how quickly much of Africa adopted mobile internet, for instance, allowing citizens of developing countries to leapfrog their lack of ground-based communication infrastructure. We will see something like that in some Asian markets. The reason is that less developed real estate markets, that have been hampered by low demand, can utilize fractionalization to increase access to the market by buyers, and thus raise demand and stimulate the industry. That’s going to be vital as investable real estate keeps growing in Asian countries. By 2026, Asia Pacific is forecast to hold 35% of all investable real estate. Many developing countries have little legacy structure, or they suffer from a low societal trust. This makes them ideal candidates for blockchain’s administrative functions. Rendering land registries and purchase transactions trustless, transparent and utterly reliable can be the first step in rejuvenating real estate business. It can be achieved with the implementation of a low-cost and robust technological solution. That’s going to appeal strongly to leaders and administrators in developing Asian countries. It’s also worth pointing out that tokenization and cryptocurrencies will share many of the same early adopters and operate on blockchains in similar ways. While we’ve largely talked about how fractionalization of assets through tokenization will allow easier entry to the market, we should also mention that those tokens can themselves be traded on multiple blockchain-based exchanges and used to purchase other items as though they were currency. Thus, people who are already used to using cryptocurrencies will find that angle of approach comfortable and familiar. 6: Many companies working with blockchain issue tokens that are available to the public. Have you issued a token, or do you have any plans to issue a token in the future? A token isn’t quite the same as a cryptocurrency, though once you get them on the blockchain, they behave pretty similarly! OpenLedger doesn’t have its own currency as such, or its own token that represents assets in the way we discussed above. But we do facilitate the creation of tokens enabled through a process that backs them with a minimum of their face value in BTS, the core currency of the BitShares blockchain. In that way, our users can easily use our DEX to trade coins from other blockchains. OpenLedger DEX users can create their own stablecoins from any token or currency of their choice and freely trade those on the decentralized exchange, which runs directly on the blockchain and is thus totally decentralized and secure. As blockchain spreads, we’ll see more and more need for this. Sooner rather than later, customers will demand a blockchain-agnostic platform for secure, decentralized exchanges of value. 7: Thanks Mihail. How can our readers get in touch with you? To find out more about what OpenLedger ApS is and what we do, go to openledger.info.